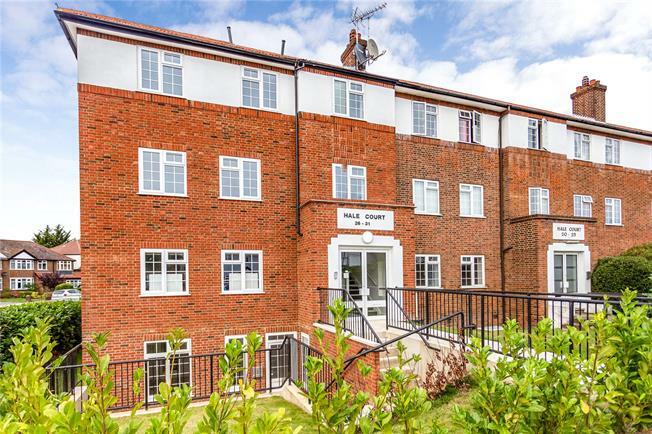 1 Bedroom Flat For Sale in Edgware for Asking Price £315,000. For those wanting a starter home with the benefit of having amenities on your doorstep, this 1-Bed 3rd Floor apartment offers an open-plan Kitchen/Living Room with integrated appliances and Quartz worktops, fully tiled Bathroom, flooring throughout and Juliette Balcony. The development is conveniently located for both Edgware and Mill Hill for access to the range of shops, amenities and transport links of the surrounding area. - Kitchen with Quartz worktops, integrated appliances to include ceramic hob, single oven, canopy hood, Washer/Dryer, Dishwasher and a Freestanding Fridge/freezer. - Fully tiled Bathroom with vanity units and heated electric towel rail. - Flooring - Laminate to Hallway & Living Room, Carpet to Bedroom & tiling to Bathroom. - Lighting - LED spotlights to Hallway, Living Room/Kitchen, Bathroom and Bedroom. - Gas central heating and Electric under floor heating to Bathroom. - Wired for Digital aerial and Sky TV. - Video entry phone system. - 10 year CRL Warranty. To arrange an appointment to view or for further information, please contact Preston Bennett New Homes on 020 8954 8626.